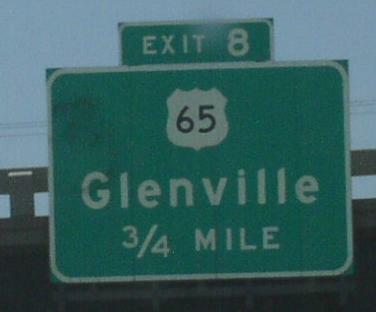 U.S. Federal Route 65 is a north-south highway in Freeborn County. This is the only county it runs through in the State of Minnesota. 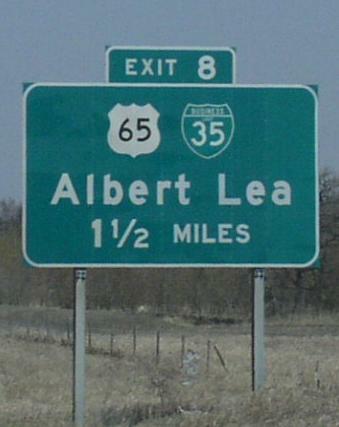 The northern end point is at Interstate 35 on the northeast side of Albert Lea, south of Interstate 90. U.S. Rt. 65 passes through the following towns in Freeborn County. U.S. Rt. 65 is multi-plexed in Freeborn County. 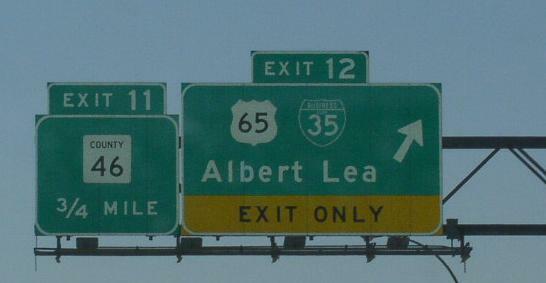 BUSN Loop I-35, at Albert Lea. U.S. Rt. 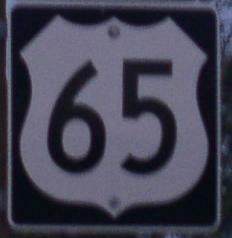 65 intersects the following highways in Freeborn County. 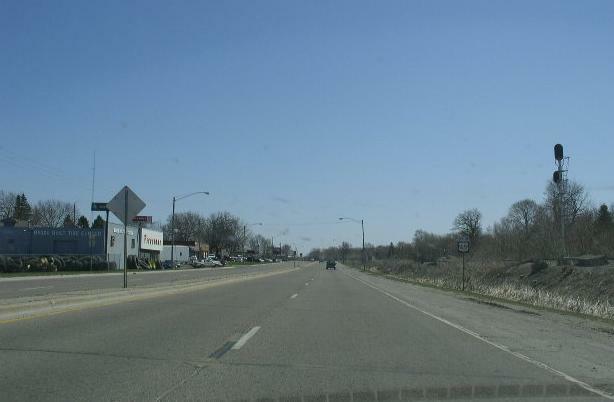 Minnesota State Route 13, at Albert Lea. 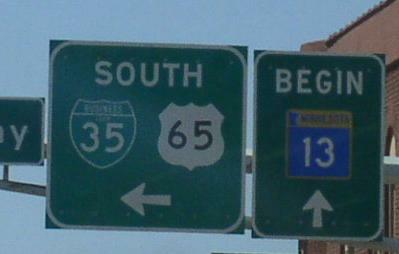 A BGS on SB I-35. A guide marker in Downtown Albert Lea. SB BUSN Loop I-35/U.S. Rt. 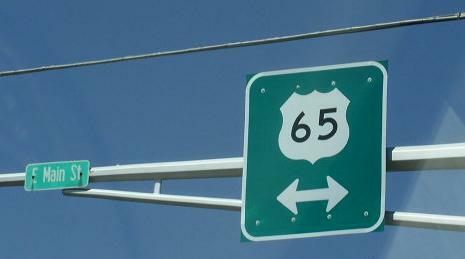 65 on the southside of Albert Lea. 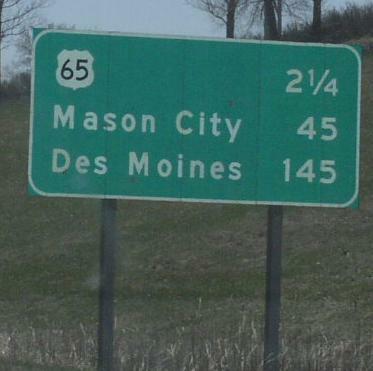 A mileage chart on SB I-35.